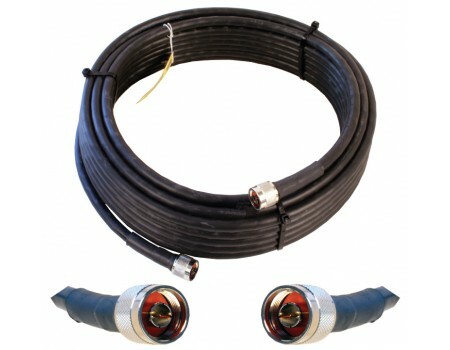 Wilson Ultra Low Loss Wilson400 Coax Cable with N Male connectors. 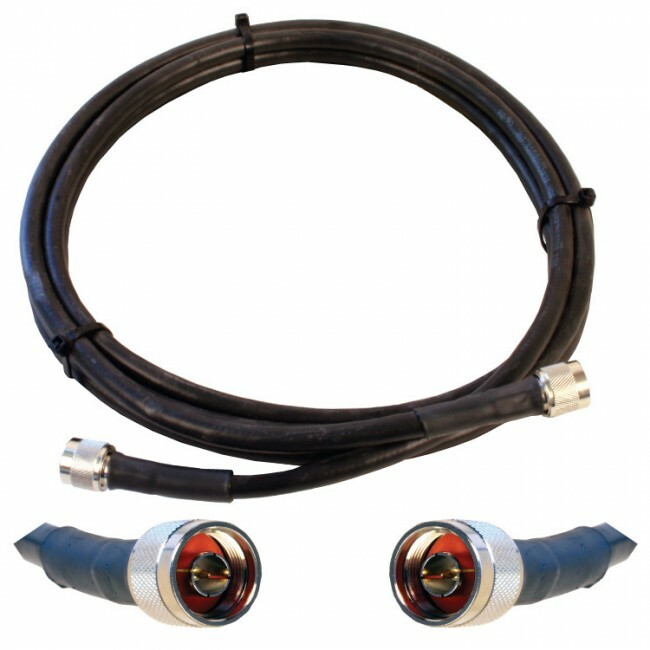 Wilson's Ultra Low Loss Wilson400 coax cable is terminated with N-Male connectors on both ends. 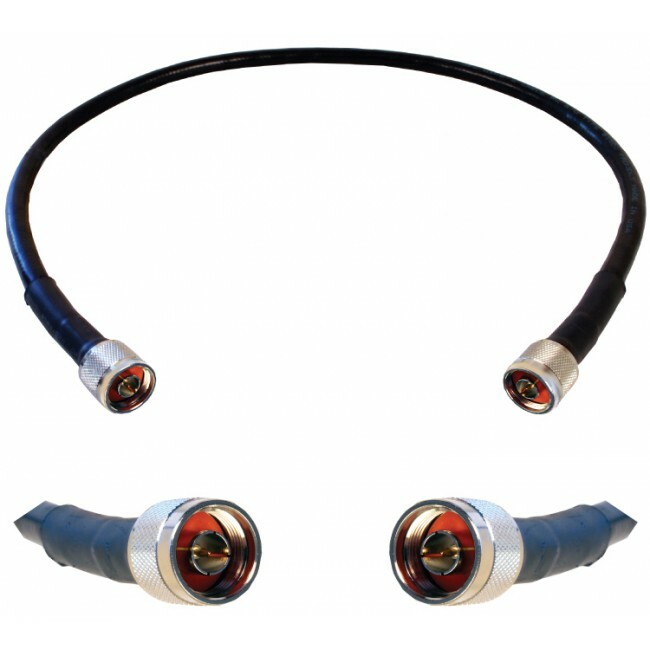 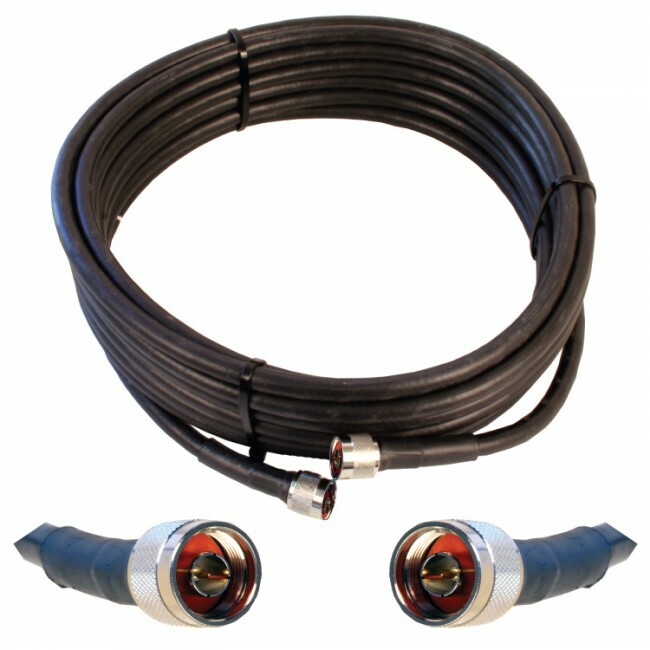 The loss over the entire cable ranges from -0.1dB for a 2 ft cable to -4dB for a 100 ft cable. 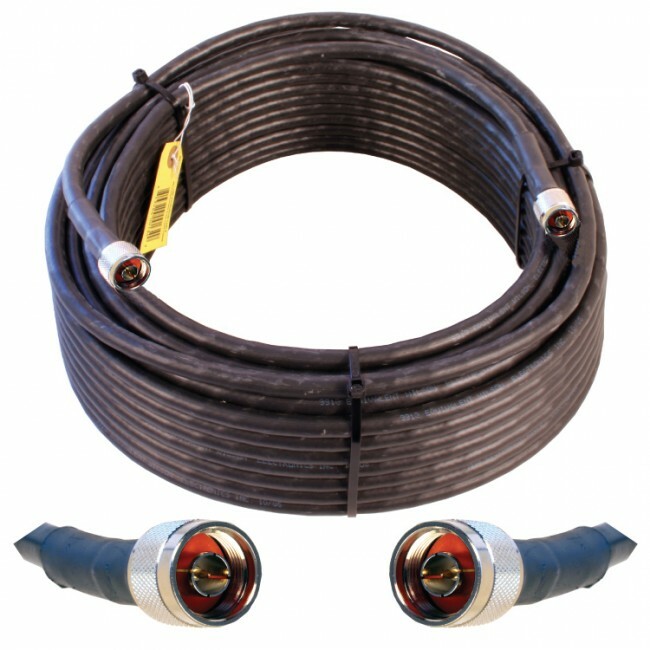 Depending on what you're connecting, a cable adapter may be required. 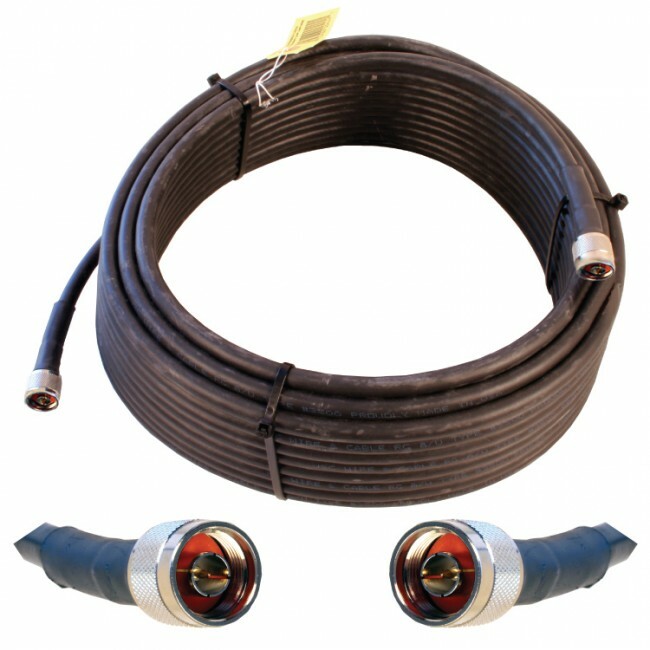 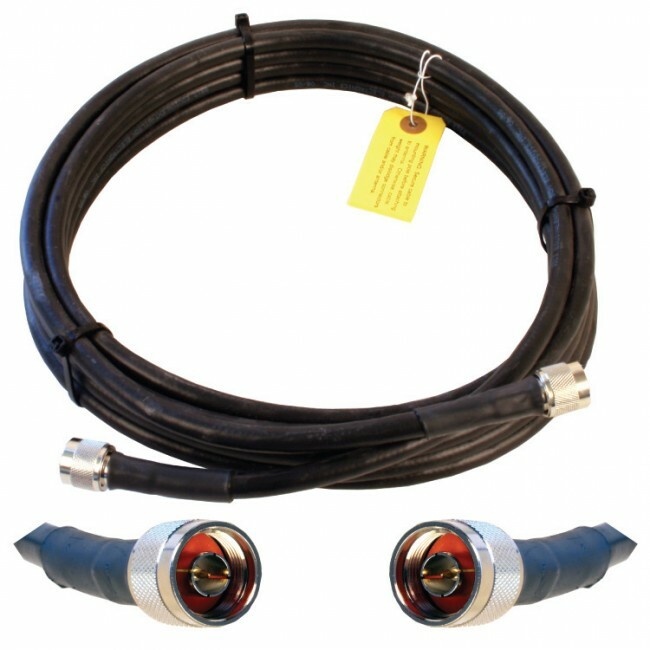 The Wilson400 cables are ultra low loss 50 ohm and waterproof making them ideal for every portion of your signal booster installation. 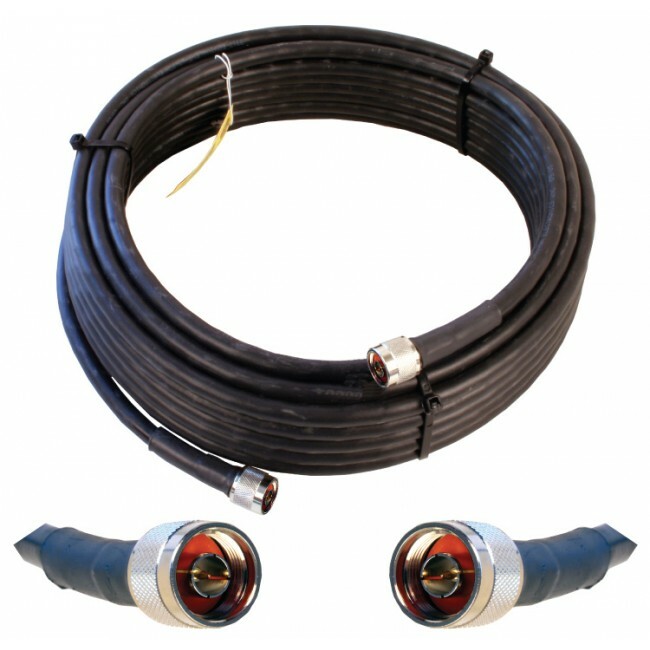 WIlson400 is similar to LMR-400 cable and can be stiff and may not be ideal for very tight turns during installation.